Why Are Photographers Reluctant to Share Their Settings and Locations? As children we’re taught that sharing is the way to go, but too often it feels like photographers forget that basic lesson. It’s a common debate that comes up: do you share your settings and locations? Every once in a while, you’ll see photographers parse over the merits or demerits of sharing a location they’ve found for a photo. While sometimes it’s a legitimate fear of many photographers harming nature or a zombie photographer horde ruining a spot for a photo with too many people, other times, it’s just a plain selfish move. It’s the same for settings. Many photographers on Flickr and elsewhere go to extra lengths just to remove EXIF data from photos that show how they were shot. Again, what’s the reasoning? If a photo can be recreated merely by standing in the same spot and using the same settings, then it’s inherently not an original concept. Time of day, weather, clouds, water, fog, and myriad other factors are what make the photo, not just f-stops and shutter speeds. The best friends I’ve made are the ones that I’ve bonded with over a camera. A request about settings or a location is an opening to make a new photographer friend. That is something that doesn’t happen if every photographer is huddled over their cameras in a corner of the room, not talking to one another. Just think about it: if teachers hoarded knowledge of the alphabet, you wouldn’t be able to read this sentence. I’ll put my money where my mouth is. 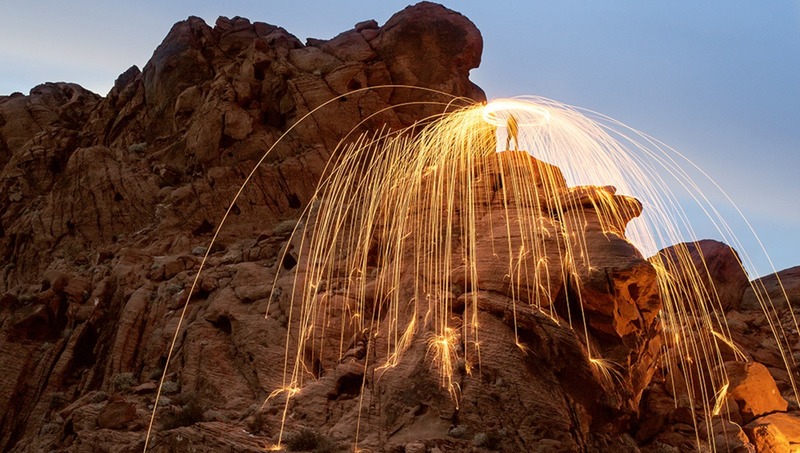 The photo for this article was shot at the Valley of Fire state park in Nevada, and it was shot with a Canon EOS 5D Mark III using an EF 40mm f/2.8 STM lens set to f/8 and a 30 second exposure at ISO 320. If you’re wondering how the sparks get there, it’s a technique called steel wool spinning. I’d be highly cautious and selective about the steel wool part, as it can be very, very dangerous. How do you feel about sharing settings and locations of your photos? 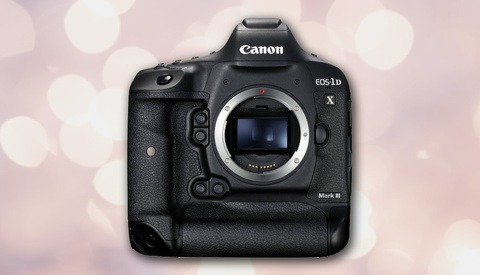 What Is Canon Planning for the 1D X Mark III? As you mentioned, abuse is a legitimate concern. There is also the situation, where the only special "skill" one has is the knowledge of such locations and has very little actual photographic knowledge. People hold on to their only competitive advantage if it can be called that. Great post, thank you. EXIF data is a starting point in order to reproduce... another's one photo. We like to create and re-create is part of our process. As you said, f-stop and time are only a part of the process. NOTE: I was editing the setup of one of the shots of my new project (for recording purposes at least) when you post arrived. Synchronicity! I love seeing photos of Valley of Fire, I can immediately pick it out of a lineup of desert photos, what bugs me though is that with the inherent sharing of Locations and more people wanting to capture that same vibe, it's clear the state park isn't being respected, as with many other Instagram worthy locations. I grew up in Las Vegas, my dad used to take my brother and I hiking every Sunday at Valley of Fire. Over time i've seen it degrade, Mouse's Tank is filled with garbage, there's graffiti all over the hieroglyphs, some of them have even been broken off and taken. With that being said, sharing of information amongst like-minded individuals is fine, but be careful who you share it with because eventually these places will become off-limits if we don't protect them. I do not see any reason not to share settings, but I also think it is completely worthless to do so. Every camera is different and the light is going to be different for every photo. Thus every photo should have different settings. Trying to copy settings and location will almost certainly lead to disappointment. I'll post a screenshot of CaptureOne on location and will post it on Instagram from time to time. I think the actual editing is what most of us don't talk about. Locations are what take time to find and I can understand if someone doesn't just give them away. On location - @insta_repeat gives a very good reason why not to share. Comp stompers are everywhere. That can't be a serious question.. I don't understand why people feel entitled to locations. I have never once asked where something was and instead would do my own research if I really wanted to find a specific spot. I have also spent a lot of time wandering local areas looking for new compositions and less shot spots. Why should someone else be rewarded for my work? It just doesn't make sense to me. Not to mention all it takes is one person to share the gps location and a once hardly visited area becomes the exact opposite. I also find the picture used ironic (guy spinning steel wool in a state park that I'm sure the rangers wouldn't be pleased about) as an exact reason I don't share locations. Settings are completely different I could care less about sharing those. It's not what makes the shot anyways but if someone really wants to know I have no problem telling them. These are also my thoughts exactly. Wow - a little sensitive aren't we. You don;t seem to realize that both of the comments are awkward compliments. If they said "Wow what a great photo! What were your settings/what camera did you use?" would it still be offensive? People don't share locations because it's pretty difficult to find a really nice location that you enjoy shooting. Combine this with the fact that people have a tendency to trample and destroy things and if that happened to a nice location you found, you'd have to go out of your way to do even more work to find a new location. Maybe let those that are abusing and vandalizing places find their own nooks and crannies to destroy without the aid of GPS data. As for not sharing settings, I generally don't do it because there's literally nothing positive that will come of it. At best, you get people copying you (don't care either way about this) if they like the photo. 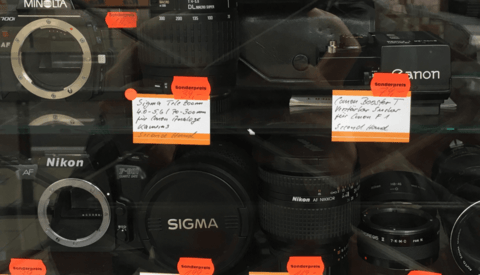 At worst, they'll start offering their unsolicited advice on what settings or camera or lens they think you should have used based on the EXIF data because everyone and their mother is an armchair analyst. If you're digging through EXIF or GPS data rather than examining an image, you're doing it wrong. As for the author's argument that it's somehow selfish, what's selfish about it? Teachers are paid to teach the alphabet. Is someone paying me for settings or locations? If you want to actually learn about photography, there's plenty of educational material out there explicitly for that purpose. You're not going to learn anything useful from digging through EXIF data that you wouldn't learn through any number of free or paid educational resources. The same goes for photographic locations. Oh, and spinning steel wool is a trend that I think we can do without people perpetuating... unless, of course the author happens to be the type of person that enjoys reading stories about idiots setting all manner of things on fire with this banal activity. LOCATIONS.....NO. Period. Unless you're my BFF and I know I can wholly trust you to not harm a location, I don't owe you anything. I'm not sharing my images on social media so that you can see them and be inspired to go there too, like some of the idyllic Instagram "influencers" make it seem. On the contrary, I'm sharing my images on social media for the sole purposes of either encouraging the respect and preservation of such locations, and/or basic photography education purposes. That's it. Nobody owes you GPS coordinates on a silver platter, just because it's the internet, or just because your vacation doesn't allow you the time to explore and find a "secret spot" on your own or with just a few clues. Get over it! SETTINGS....YES. Why not? I have nothing to hide, and I have everything to gain, from both viewers, and from fellow/aspiring photographers. If you're a fellow photographer, then I'm not losing any workshop/ebook etc. money by divulging my camera settings, either. If you think telling a fellow photographer your camera settings is going to somehow give them a better chance at out-shooting you, then you aren't doing it right. 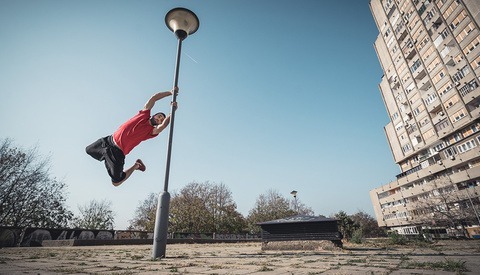 Your own imagery involves so much more than just settings, and even if you're in the industry of teaching for money, there is so much more that you can teach that is worth much more $$$ than just divulging camera settings. It's interesting that you say you wouldn't provide locations. I just took a look at your profile on here and they're some amazing shots but most of them include the location right in the title. Maybe you're referring to the exact GPS and if that's the case then that's totally understandable. But take for instance "The Path of Totality over Sawtooth Lake," if you didn't put the location in the title and someone asked where it was taken would you be so opposed to telling them it's Sawtooth Lake? Just curious. Stephen, indeed it is a fine line to walk. However, I do also take a bit of a "National Geographic" approach to documenting the places I visit, which means that the general area itself is a relevant part of the story. Which is why I'll mention whether I'm in the Tetons, or the Grand Canyon, or Yosemite, etc. Having said that, there's actually an easy scale to follow and "grade" your level of details-sharing. Simply put: locations like Tunnel View or Valley View in Yosemite are so iconic, that nobody need even ask where they are, plus the facilities in place are so well-established that they're designed to accommodate tons of foot traffic. Most of the other areas I visit are also not just an easy jaunt away from a parking lot. They require permits, and extreme physical exertion, to get to. If you want to get to Sawtooth Lake, for example, go right ahead! It's a pretty tough hike, especially to get to the off-trail ridgeline where we actually watched the eclipse from. And quite honestly, there's not much you could do to "damage" such a location, either. It's just a trail to a lake. Lastly, indeed some places are truly delicate, and/or sacred, sites, and these get no details shared whatsoever. I might share images of them, but even that I do with trepidation. Being a guy wha has been shooting for 30+ years and coming from the commercial side I have a different outlook. Back in the day, our technical tricks, locations and other secrets are the things that made us different from one another. Know a trick could get you the job if the other guy or gal did not know that technique. It was a way to make money. These days many photographers don't really shoot as much, they "teach" or unbox equipment while wearing their baseball cap backwards (that is still a thing? )or a fedora. I mean they shoot for content on their website but not for an outside client. Two very different business models and it looks like the full photographer is going away. Also curious about the permits & insurance. I'm Canadian and our national parks services require serious liability insurance & approvals for stuff like this, the provincial parks vary from province to province (and sometimes from Warden to Warden). 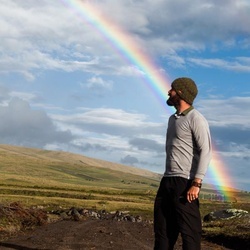 Wasim, was there a process to go through to shoot this in a state park? I highly doubt he asked and would also highly doubt they would give permission to do it. We are talking about a park that kicks people out at sunset due to concerns for people getting lost etc. Oh, they would let him do it but on their terms. I don't share locations so that others don't show up and completely destroy the area by spinning steel wool and scarring the landscape. For those expressing derision about the "risk" of lighting things on fire in this shot, if you've ever been to this place you would understand that it's rock. Most of it is nothing but rock. Steel wool isn't going to light rock on fire. There was no harm to the environment. Almost every permit I have filed has a line in it about pyrotechnics yes or no (even shooting at the beach) and the license # of the pyrotechnic tech if yes... Sometimes to protect the environment and sometimes to protect the crew, other park visitors and wildlife. Sometimes just to say no to things that are not in the best interest of the park or will annoy other visitors. I have been to Valley of Fire and I think you are missing the point. We are talking about a state park here, you aren't supposed to do your own pyrotechnic show. When people do stupid stuff like this where they are not supposed to, it gives all of us a bad name and we end up with even more rules restricting use and access. Also in case you were wondering steel wool can burn at up to 700 deg C or close to 1300 deg F. It could easily leave burn marks on the rocks. If you are in any way altering the landscape permanently whether small or large you are in the wrong. But if you think its no big deal why not go there and take a shot just like this in front of the ranger and see how it goes. There's hair, clothing, people.... I wouldn't really consider it to be an advisable activity even if it's on a rock. Hair, clothing ... I suppose. People do all kinds of things in which precaution must be taken. As far as people ... Again, it sounds like you haven't been to the Valley of Fire. No offense but it sounds like you never needed to get a permit for a photo shoot in a park. Valley of Fire is a state park. So if you want to go use it as a park that's cool. If you want to shoot off fire works or have a concert or set up a food truck they would require a permit. A photographer can shoot all day and night in the park with a simple set up, once you bring in lighting or fireworks or other things like that they will want to regulate it. Realistically the chance of getting caught is slim, it's a big park with few rangers, so most people who do this stuff will get away with it. Permitting was never mentioned except by you. It's a non sequitur. We're not talking about permits. I'm talking about the fact that spinning steel wool in Valley of Fire in the location that was used isn't going to light anything on fire. It's relatively safe.